Chinese art is relevant around the world; for many people, it is part of their history and collective memory. For centuries, royalty, the aristocracy, collectors and museums have admired it for its artistry, high quality and diversity. Naturally, interest in China has grown over the past few years, with a real explosion of new museums and collectors becoming active in the market. Furthermore, due to the millions of works of art produced in China for export over the centuries, the Middle East, Europe, North and South America now share this strong interest as well. Indeed, it is one of the most active art sectors, and one of the strongest and most sustainable in the industry. This global interest in Chinese art fuels a dissemination of information and dialogue. The growth of available information in Chinese art over the last 10 to 15 years has been tremendous, not only on the internet, but also through publications, conferences, workshops and exhibitions that take place every year. As a result, more and more people are aware of the beauty of Chinese art, and are becoming active in the market themselves. In recent years, the market has seen a significant increase in eclectic collecting. 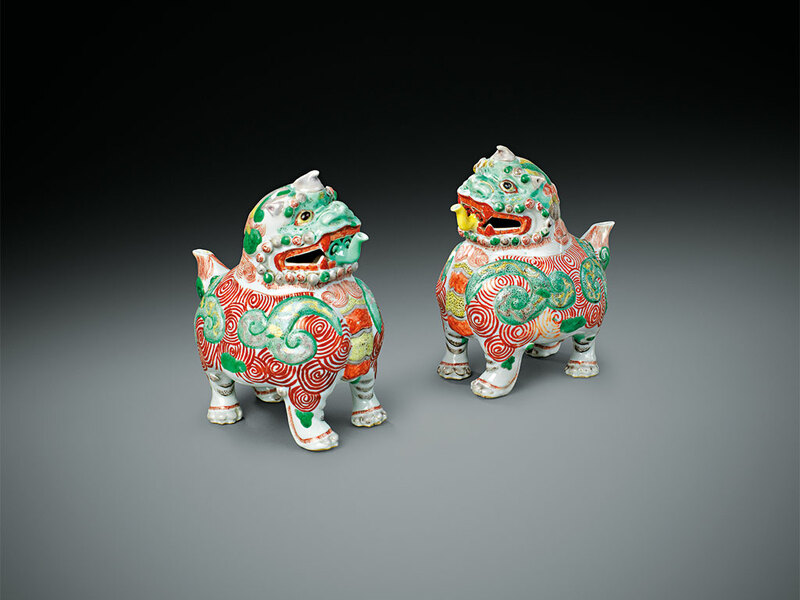 Chinese art collectors continue to be active, but many others that were traditionally focused on other disciplines have also become interested in Chinese works of art. One reason for this is emerging markets, such as the Middle East and South America, which were not so strong a decade or so ago, are now absorbing a significant numbers of works from the Chinese market. In spite of this new trend, our strategy at the Jorge Welsh Gallery has remained the same: to focus on high-quality, historically important, culturally interesting works of art, and to invest in research and our publishing division. Additionally, we only participate in the world’s top fairs, and continue to widen our collaborations with museums and universities, while ensuring we always have an attractive programme of exhibitions for collectors. The gallery has been operating for 30 years now. My partner Luísa Vinhais and I have been very fortunate to receive trust and loyalty from collectors and museum representatives. We attribute this to our basic principles: hard work, a great passion for our area of expertise, good relations in the industry, and sustained investment in research. We are very demanding in terms of the quality of the works of art that we offer. We have a great working environment and a dedicated team that works well together, is focused on a united goal, and is captivated by the work we do. To celebrate our 30th anniversary in 2016, we held a hugely successful exhibition called ‘A Time and A Place: Views and Perspectives on Chinese Export Art’ in London and Lisbon. We published a corresponding exhibition catalogue, and we are now working on a second publication, which is focused on what the last 30 years have meant to us and looking at the future of the art market. We will continue to publish reference books, and have already two upcoming books written by independent scholars, one on Chinese export porcelain and the other on cross-cultural artworks. We plan to reinforce the scope of our research, working on certain long-term projects and making partnerships with museums. Keeping our strong presence in traditional markets, we also want to develop new relationships in the Chinese, Middle Eastern and South American markets. Finally, we are now developing a strong digital presence, which is indispensable in staying relevant to our stakeholders.